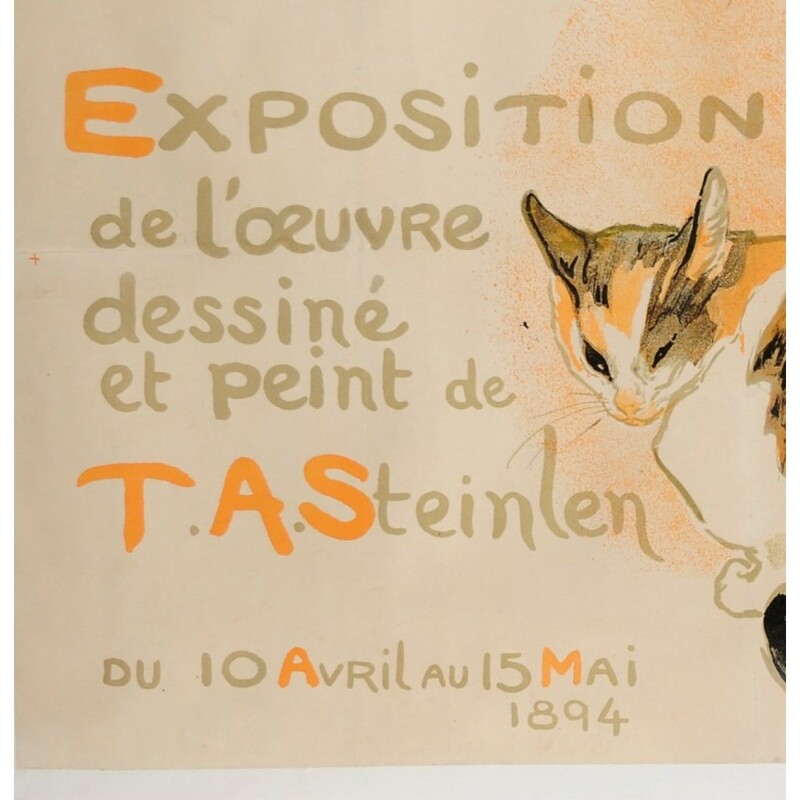 A delightful advertisement by Theophile Steinlen (1859-1923) for an exhibit of his own works at La Bodiniere, an art gallery located in down-town Paris in the Spring of 1894. 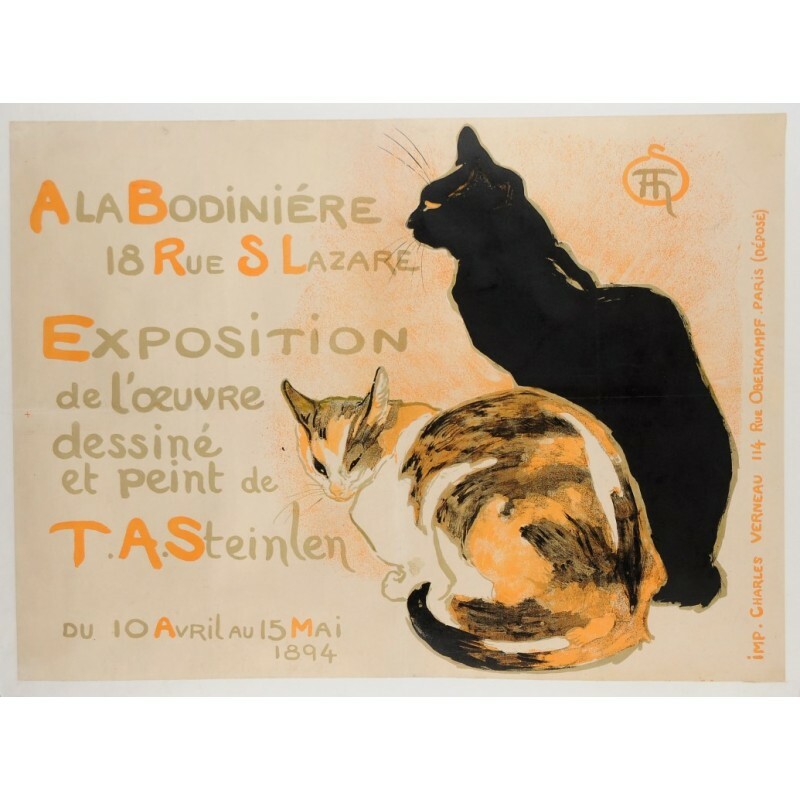 The Swiss born Steinlen moved to Paris at an early age and his permanent home, Montmartre and its environs were a favourite subject throughout his life and he often painted scenes of some of the harsher aspects of life in the area. In addition to paintings and drawings, he also did sculpture on a limited basis, most notably figures of cats that he had great affection for as seen in many of his paintings.